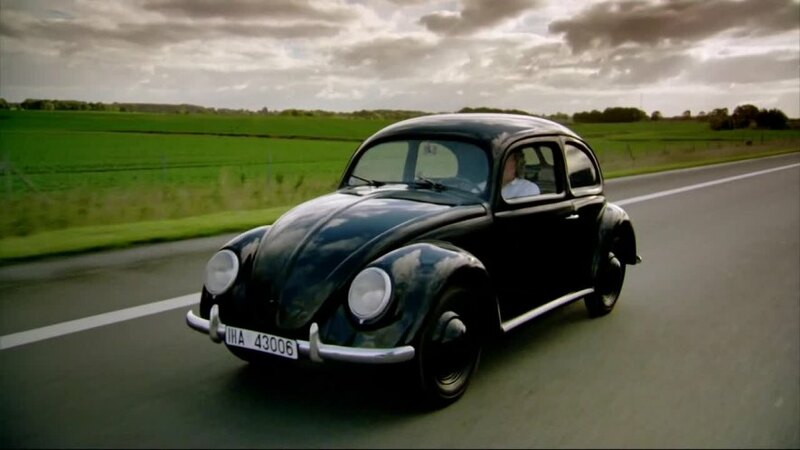 IMCDb.org: 1938 KdF Innenlenker [Typ 38] in "James May's Cars of the People, 2014-2016"
According to the doco, this is oldest known running "beetle" in the world, prototype no 6.
chris40 wrote Sorry, I didn't make myself clear. Originally the VW was officially called KdF-Wagen. Innenlenker simply means the same as conduite intérieure. 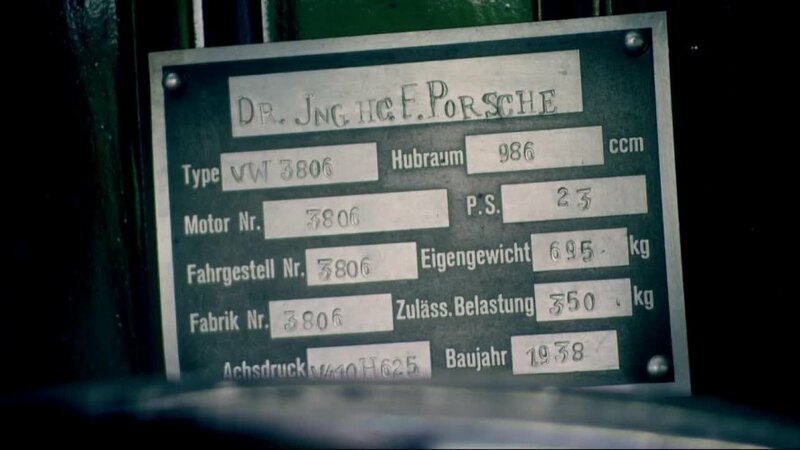 ...which only denotes a type of bodywork ? That confirms that this engine is 1 litre version here. According to this page Link to "www.vw38.de" the 06 seams to be the second oldest, as the oldest (number 03) is part of the VW heritage collection. Used to belong to Robert Ley. Ley was the head of the German Labour Force or the DAF and later; the Reich Commissioner for Social House-Building during Hitler's reign. Under Ley's reign, the DAF had established the Kraft durch Freude or Strength through Joy, a organization that specialized in creating leisure activities for the mixed classes of Germany in the mid-late 1930s. During the mid-late 1930s, the KdF created leisure programs, hotel resorts and cruise ships and at Hitler's request created the KdF Wagen (later known as the Volkswagen Beetle). During the WWII, Ley was in charge of overseeing and preparing the houses for the effects of Allied Bombings.